Cost to have a kitchen island installed varies greatly by region (and even by zip code). Get free estimates from local contractors in your city. Cost to have a kitchen island installed varies greatly by region (and even by zip code). Get free estimates from local contractors in your city. The average price of installing a custom-made 24 sq.ft. kitchen island is $4,500. A kitchen island 1 is ranked by the National Association of Home Builders as one of the top five kitchen trends for homeowners over the age of 50, and it is also a popular addition to a kitchen space for any home that lacks countertop space. It is a highly functional option, and can be designed to fit in with the overall look of an existing kitchen or a new build. 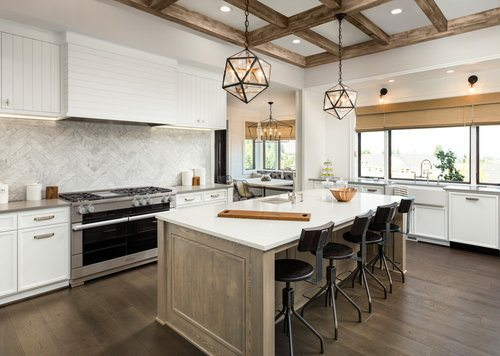 In a survey by the NAHB, about 70% of home buyers desired an island in the kitchen, with roughly half saying it was actually a "must have" component. Because they can be made in any number of materials, colors, and layouts, they can be incredibly diverse, ranging from utility designs to fully functional spaces with sinks and appliances. The average custom-made 24 sq.ft. kitchen island costs $4,500, for labor and materials, including design fees. It will usually feature a sink and dishwasher along with some cabinet space and countertop with room for working and seating. 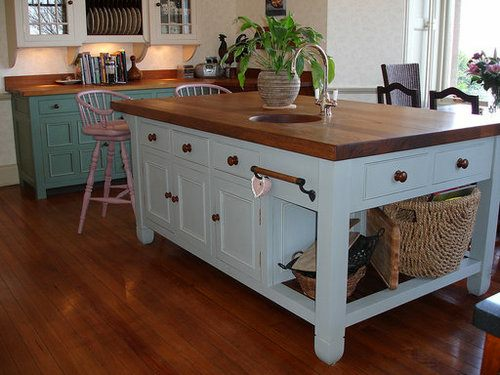 Is a kitchen island always the ideal answer? As is the case with any improvement, there are pros and cons to an island. On the positive side, an island gives lots of storage, creates working space, might offer seating and dining space, and is often fully customizable. On the other side, it is important to note that islands take up a lot of floor space, are often challenging to match to existing cabinetry, and custom pieces are far more expensive than prefabricated options. To get an accurate idea of the cost of an island for your home, you begin by deciding what it will be used for. Potential uses might include storage, food preparation, casual dining, and many other possibilities. These uses can help to determine what you require in terms of materials and budget. After all, whether you rely on a designer to help you with the project or you turn to experts from "big box" stores, you must be clear about your needs. Only then can you choose the features appropriate to your space and budget. This is often why so many homeowners opt for custom-designed islands. Their designer is going to have full knowledge of materials, options for appliances and other functions, and of course the resources necessary to create the ideal solution. Rather than settling for and trying to work with a prefabricated unit, homeowners willing to invest in the costs of a designer (designer's fees are usually around 20% of the total project) end up with a much more effective island. A kitchen island is always going to be comprised of the base or body, a high quality countertop, cabinets or drawers, molding and finishing pieces, and any accessories or appliances you might want . That could include a dishwasher, a mini fridge, a cooktop, or other options. There may also be the option for accessories based on your type of island. As an example, a food prep island requires fixtures like trash bins, cutting boards, additional shelves for appliances and equipment , and more. Design professionals often describe islands using terms associated with their function. There are prep and wash islands, eating, cooking, and more. There are islands with open shelving on one side and seating on the other. Some have cabinetry, book shelves, and wine storage. This is a very common option and it usually includes the incorporation of a sink and faucet in addition to the materials and design fees. In other words, you may need to calculate the costs of a plumber who can install a drain, run plumbing through the island, and install a sink and faucet set. This can make the island more costly, but a great deal more functional as you can prep and clean food or use the island as an effective beverage preparation area thanks to the sink and faucet. Alternately, it could be designed for specialty functions such as pastry preparation and feature a section with a marble work surface for rolling out dough. The point to consider is that this will require a designer, carpenter(s), and a plumber. Pricing will range from $200 to more than $3,000 depending on the options you choose. This is an island that is going to function mostly as storage with a countertop suited to working and/or prep. It will require features such as shelving, wine storage, cabinets, and drawers. It may end up being more costly due to the customized carpentry and all of the additional accessories such as the wine cabinet and drawers. However, you could keep costs down if you limit it to cabinets (open or closed) and a simple countertop. This is an option that will require a designer and a carpenter. Pricing ranges from $300-$800 depending on design. Much the same as a working island, a prep and wash island is likely going to have a larger sink and more space for working. It may feature specialized sinks that include a smaller basin connected to a larger basin to help with cleaning and prepping fruits and vegetables. Again, this is going to require the services of a designer, carpenter(s), and plumber. Pricing typically starts at $1000 and up depending on design. This is one of the most complex options, and requires a larger footprint. It also features a sink and a cooktop, meaning it may be far more expensive than other options. On the plus side, it is an ideal solution if counter space is limited or if the kitchen is heavily used and multiple prep and cooking stations are of benefit to the home. This could also provide additional food storage (including the use of small wine refrigerators or pantry style storage), pots and pans, and other equipment. Using a designer and carpenters, it also requires plumbing and electrical experts to install sinks, taps, outlets, and cooking surfaces and/or fans. Pricing ranges from $1,000 to $7,000 without countertops. With all of the benefits of a cooking island (see above), this style also incorporates seating. The downside of this is that you lose some storage and working space as your designer will need to incorporate ample leg room. However, this can serve to make the kitchen a far more social setting as well as eliminating the need for a dining area within the existing kitchen. Using a designer and carpenters, it also requires plumbing and electrical experts to install sinks, taps, outlets, and cooking surfaces and/or fans. It also adds to the overall cost by requiring seating. Pricing ranges from $800 to $7,000 and up depending on design. The materials you select for the kitchen island will always have an effect on the final price. Countertops are most often wood, stainless steel, granite, marble, or quartz, and each has its pros and cons. The base and cabinetry materials (including any drawers or shelves) are also going to vary widely. You can find pre-made units or purchase custom models. 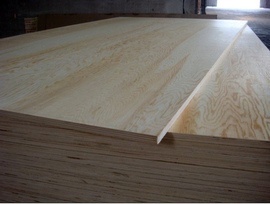 The materials most readily available will be oak, maple, cherry, birch, pine, walnut, and laminate. 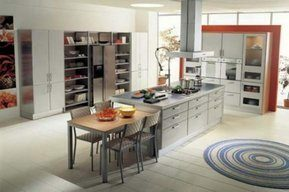 Naturally, it is not only the countertop and base materials to take into consideration when calculating prices. There are additional factors such as size and shape. For example, most islands will be at a standard height of 36" as this is the ideal working height, though 30" is also acceptable. 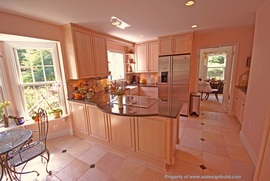 Seating and eating islands are 42” to accommodate stools for dining. Standard practice is to design the island as a rectangle, but there are curved, as well as L and T-shaped options. The more unique your layout, the more likely it is that you will have to work with a professional designer. Since many homeowners opt to install an island as part of a remodel, the designer's fees are usually around 20% of the total project. However, there are also retainer, consulting fees, and travel fees. For the island project, this amounts to $1,000 or more in addition to the cost of building the actual island. Either way, expert builders agree that you must preserve the classic "work triangle" with the fridge, stove, and sink positioned at the three points. The best position for an island is the central area of the room, as this enables adequate clearance around the entire perimeter. You may find placing the short end along one wall can allow a smaller kitchen to have a functional island, also known as a peninsula 2 or perpendicular peninsula.This is simply an element with the appearance of an island, but with traffic only at one end or one end and one long side. It is recommended that an island have 36" of clearance on all sides, or on any traffic-bearing sides. There should be 42" if the area is meant as a workspace, and if appliances with doors are to be used safely. Today, homeowners can find an array of prefabricated islands. Available from big box stores, they can be assembled and installed easily. However, these are not the same types as professionally designed and installed options. That is because DIY options rarely have anything but the base cabinets and countertops. The more professional styles include working islands with faucets and sinks, electrical supplies, and even full appliance installations. That can mean that there is a need for a handyman or other professional to assemble and install the island, but also an electrician and a plumber. However, and as we considered when looking at the pros and cons of both options, it is with the custom design that you can get the most fully functional island, and also keep costs under control by selecting the most affordable materials within your budget. As you might guess, labor can add some of the biggest expenses to a kitchen island project. This is particularly true if you opt for some of the more complex enhancements, such as running water or appliances. Design: We already considered this fee and found that it can average around 20% of the total cost of the project. However, you might also find a handyman who can build to your specifications, costing you only labor and materials. Carpentry: The national average is from $100-$300 per hour, but you may be able to work with your handyman to get a flat fee for the entire project. Be clear about the costs of materials and whether they are adding a premium to the purchase prices. Electrical: The national average is from $65-$85 per hour, but you are likely to need only a few outlet and switch installations, meaning a flat fee could be possible. Don't forget that you might require an electrician for recessed lighting above the island or for more work if appliances are to be part of the project. Additionally, there may be substrate materials used during the building of the island, and these include plywood 3, medium density fiberboard, and particleboard 4. They cost from $50-$75 per linear foot. To determine how your custom options might affect cost, consider the individual variables. Seating, as an example, will mean having adequate countertop with space for stools or a taller bench to be pushed beneath when not in use. This means you will have to purchase the seating. This might be a basic, prefabricated counter stool of roughly 27" in height and costing from as little as $10 to as much as $800. Customized options are also one way to go with pricing ranging from $800 with a prefab island to over $5,000 customized. An energy-efficient model is going to cost $400-$600 and there may be delivery and disposal fees. If installation is not included, the price of installation averages $345-$550. An energy-efficient refrigerator will average $800-$1,000 and there may be delivery and disposal fees. If installation is not included, the price of installation averages $370. Pet stations are also popular and are, essentially, cubbies designed for pet feeding dishes or pet supplies. They can be incorporated into the actual design, or a lower shelf can be used to create one for a more affordable improvement. The costs for a pet station vary in too many ways to allow a realistic estimate here, however, you can calculate a basic cost based on the materials you choose, the amount of time the designer will commit to the creation of this aspect of the island and whether or not you make it a distinct feature or create it out of the pre-existing design/floor plan of the island. A good rule of thumb is that the pet station is typically 30% of the cost of the overall kitchen island. If you are eager to save money or just cannot afford a kitchen island installed professionally, there are the big box options that can include work benches and even kitchen carts ($60 to $400). You can easily retrofit one to your space, replace the work surface with a better custom ordered top and rely on this until you can afford the larger project! State and local laws dictate if your kitchen island project requires any permitting. It could be that electrical or plumbing work may, but building codes might also require permitting. The prices vary from $366-$1,340. One thing to keep in mind about the features in your kitchen island is that they should not be redundant. If you already have a dishwasher, adding one to the island will require some sort of adjustment in the layout of the kitchen, and this boosts the cost of the island project. If it is a kitchen remodel, this point is moot. Keep in mind that your location may also have an impact on the cost of materials, labor, design, and even accessories. This goes beyond the costs of permits, which can vary, and extends to the different price models you may see at local dealers versus online vendors, and area contractors as opposed to contractors coming in from a further location. Also, taxes and permit fees have not been included in total pricing estimates. 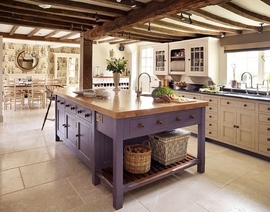 Where is the best place to put your kitchen island? Anywhere you can ensure 36" on all sides for safe traffic to pass, and this includes if you put one end against the wall. You must allow 36" on all other sides. How to install a kitchen island? This is done with carpentry that ensures the cabinetry has a kick plate, and is fixed to the floor. The base has to be professionally assembled and the countertop mounted and secured. Any plumbing or electrical is to be done before and after the actual island is installed. 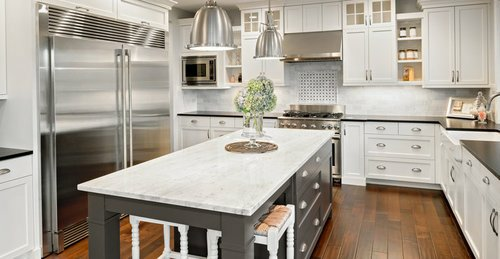 How much does it cost to get your kitchen island installed? This is going to depend upon the amount of work required, but carpenters average $100 per hour and you may need the work of electricians at $75 per hour and plumbers at $55 per hour. Most installations take more than a single day and can be part of a remodel. Which are the most resistant counter materials? Stainless steel cannot burn, crack, or be easily damaged. If you want a more natural material, quartz is very strong and many laminates are resistant to burning and wear. How large should be the walkway clearances? At least 36", but a minimum of 42" if you have appliances with doors within the walkway area. How much is a granite countertop per square foot? The cost of this popular material is from $45-$200 per square foot. How much does it cost for a kitchen? The cost for a typical kitchen renovation is around $20,000. What is an island in the kitchen? An island is a key part of the cooking space. It is a multi-purpose unit that improves any kitchen's function and appearance. It can be used for seating as well as food prep. 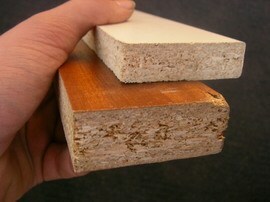 4 Particleboard: An engineered wood product used in construction projects and composed of wood chips, sawmill shavings, and/or sawdust and a suitable binding agent, such as resin. 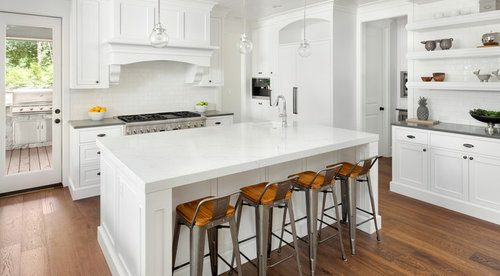 How much does it cost to have a kitchen island installed in my city? Cost to have a kitchen island installed varies greatly by region (and even by zip code). To get free estimates from local contractors, please indicate yours. Cost Considerations: Particle board is cheaper than plywood. Custom closet systems made of particle board may run from as little as $75 for a prepackaged kit to $600 for a custom-designed laminate version with drawers and other additional features.